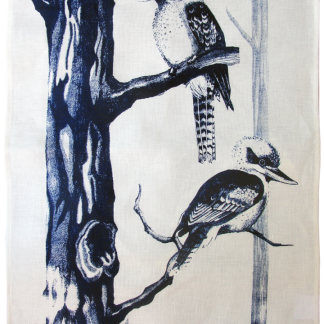 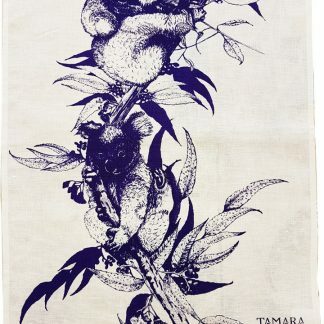 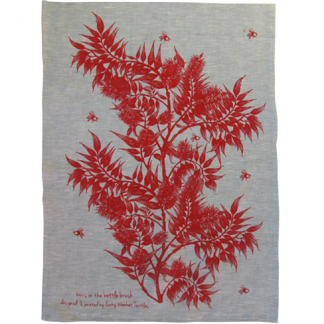 kookaburra tea towel featuring handdrawn illustration of kookaburras. 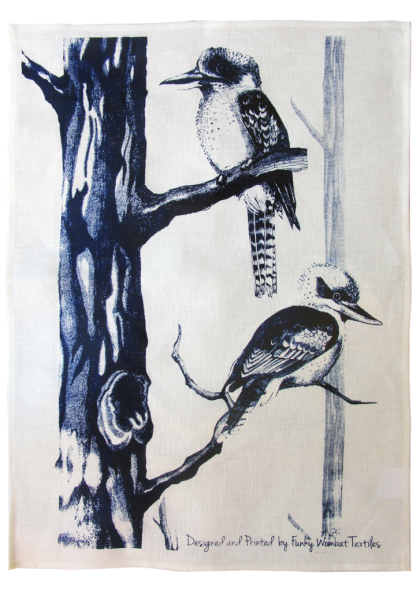 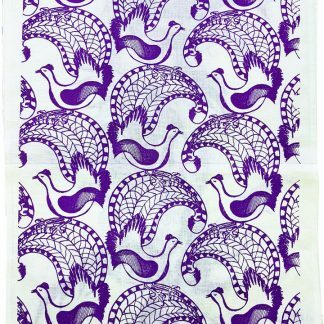 This kookaburra tea towel features original contemporary illustrations and have been hand screen-printed by us from our studio in Canberra Australia. 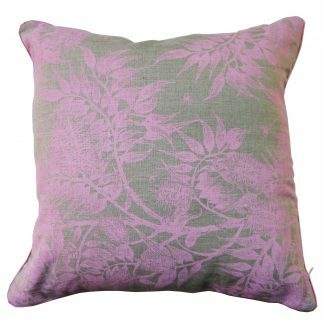 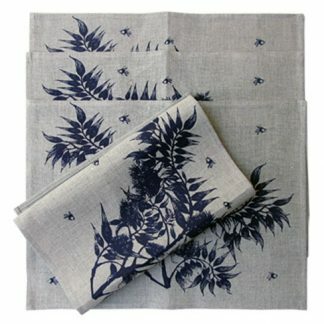 We use water-based pigment for printing and the base cloth is 100% natural linen, chosen for its highly absorbent qualities. Our original and contemporary kookaburra design was inspired by our popular birds in the woods wallpaper.